James Gunn has promised more backstory for Rocket Raccoon in 'Guardians of the Galaxy Vol. 3'. Rocket Raccoon first appeared in the first 'Guardians of the Galaxy' movie, and was voiced by Hollywood hunk Bradley Cooper, and now Gunn has announced the genetically enhanced hero will be given more of a backstory in upcoming films in the Marvel Cinematic Universe. Speaking at HASCON, the filmmaker said: "We are going to learn more about where Rocket comes from in the coming sagas. It's going to be a little different from the comics. We already know a lot about from where he came from. It's a little bit more horrible than what it is in the comics when you come down to it. We will learn more about that." Created by writer Bill Mantlo and artist Keith Giffen, Rocket first appeared in Marvel Preview #7 in 1976. The Guardians of the Galaxy squad are set to appear in 'Avengers: Infinity War' where they have to work with the Earth-bound heroes to stop the mad titan Thanos. Gunn recently gave fans of the superhero movies an insight into what they can expect from Marvel films over the coming decades, revealing the third 'Guardians' will perform a key role. Asked whether the character of Richard Rider, who is also known as Nova, will appear in future Marvel Cinematic Universe films, Gunn explained: "Yes, definitely. Nova comes up occasionally as someone we might use. One of the things I'm doing with creating 'Guardians of the Galaxy Vol. 3', it will take place after the next two 'Avengers' movies and it will help to set up the next 10, 20 years of Marvel movies." 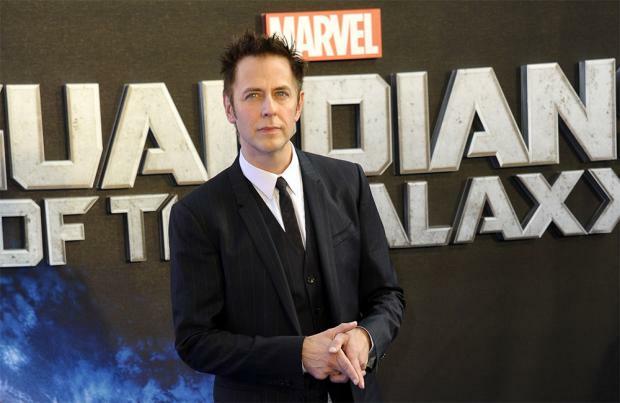 Gunn made the confession during a fan Q&A, and the seemingly innocuous query prompted him to reveal some of Marvel's long-term plans.